so you can engage smarter. Bold360 supercharges your customer IQ with vital business data to fuel smarter interactions. Empowering businesses to deliver better customer outcomes. Finding ways to help you create better customer experiences has always been our passion. Now Bold360 brings groundbreaking intelligence to every interaction, putting customer insights to work in real time, across every channel, at the point of engagement. Bold360 is ready to go on day one. Because it starts providing actionable insights from the very first customer interaction, we're confident there's no faster time to value from any other AI-powered software on the market today. Bold360 synthesizes data from every touchpoint, and even disparate systems, to fuel greater understanding of your customers. Agents are empowered to provide more personalization, and customers are routed to the best resource, wherever it may be. As the industry's most tightly integrated agent and bot solution, Bold360 uses AI to assist agents be more effective and efficient, unburden agents from repetitive tasks, and provide seamless transitions from bots to agents. It's the best of both worlds. 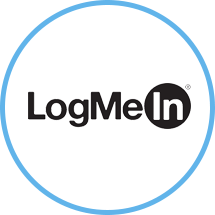 Bold360 is powered by LogMeIn, a solution provider whose mission is to simplify the way people connect to each other and the world around them to create amazing outcomes – for both our customers and theirs. To date, we’ve facilitated over 300 million connections between people, devices and objects around the world. LogMeIn turns the impossible into Simply Possible. We believe that possibility increases with connectivity. The more connections that businesses and individuals make, the more possibilities and opportunities emerge for the taking. That’s why we build solutions that simplify the way people connect to each other and the world around them.